What’s Poppin’ Tonight! 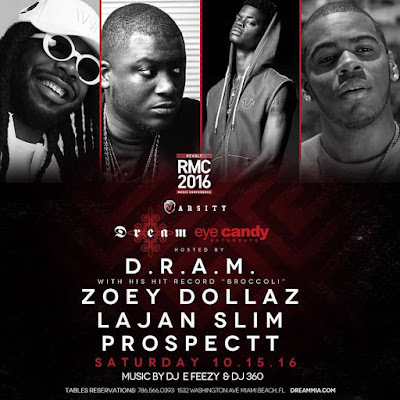 #EyeCandySaturdays presents D.R.A.M., Zoey Dollaz, Lajan Slim and Prospectt + More at Dream Nightclub #RevoltMusicConference #RMC2016 ~ Phresh Hott New! Tonight! 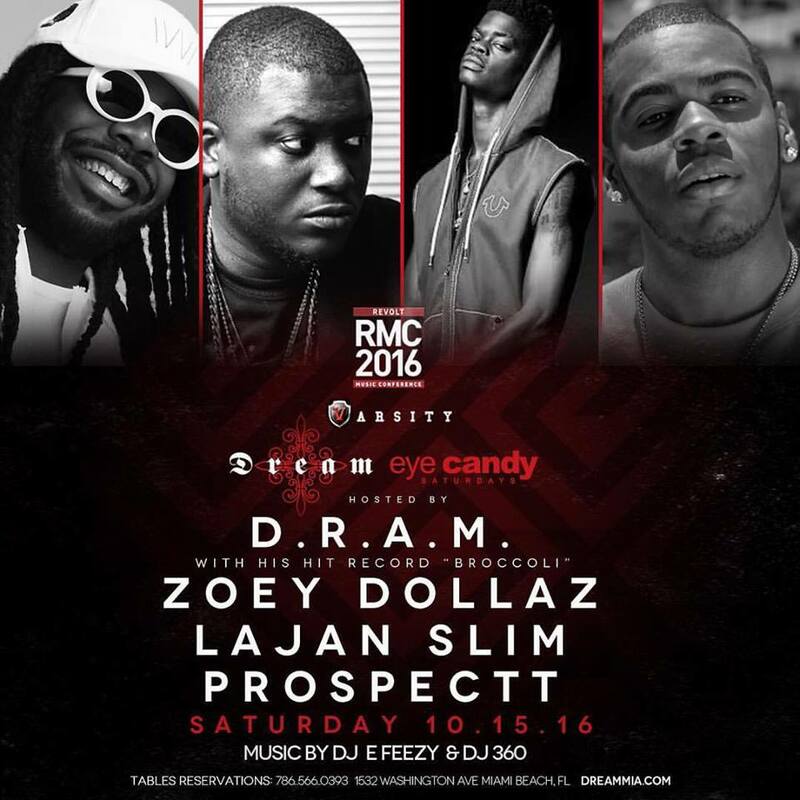 Join us at Dream Nightclub and Varsity LG presents Eye Candy Saturdays featuring D.R.A.M. with His Hit Record “Broccoli” with Zoey Dollaz, Lajan Slim and Prospectt + More at Dream Nightclub. Music by DJ E-Feezy | DJ 360 | + More!